Wooly jelly palm is a very beautiful palm growing in the hills in South Brazil. 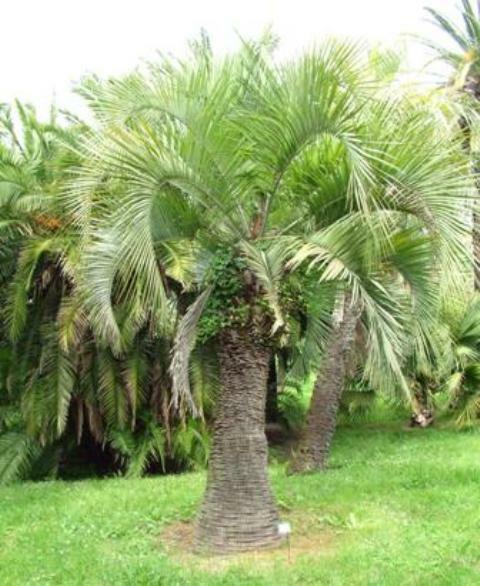 It is the most hardy palm in its genus. It has a typical and distinct woolly appearance on the trunk. Indeed the red-brown colouration of this rather thick fur is visible from quite a distance and renders identification quite easy. That is why it is called a “wooly” jelly palm. 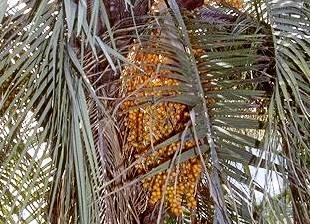 Wooly jelly palm bears yellow orange coloured fruits. Though the fruits are of small size, but they have a fairly tasty pulp possessing a pine-apple orange flavour. This fruit is native to regions of extreme Southern Brazil. It is widely cultivated in that area. A solitary palm, 4-5 m tall; caulis ringed, about 40 cm in dia. Leaves concurrent, sheath and petiole indistinct; pinnae, about 70-72 on each side, regularly distributed and positioned obliquely, forming a v.
Inflorescences interfoliar having 20-125 rachis. 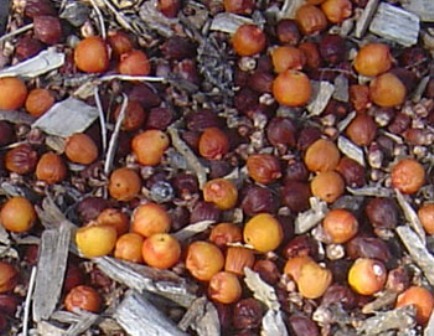 Fruits have a ferruginous tomenta on the peduncular bract, which makes it distinct from Butia odorata, edible, pulp fibreless, sweet with a pleasant blend of acid. The fruits are edible and eaten fresh out of hand. These are also processed to make jellies and jams. Small mammals also like these fruits very much are quite of these. 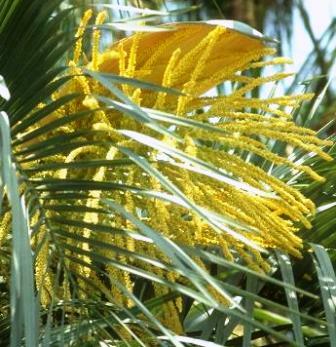 Wooly jelly palm is also frequently grown as an ornamental for its silvery-green fronds. It is hardier palm than its near relatives. It can survive low temperatures upto -15 C.
Though it can grow in full sun, but does especially well in cooler and foggier climates. Though it does not require heavy irrigation, but still it has to be irrigated regularly. New trees can be raised from seed. He seeds are, however, slow to germinate. They may take a few weeks to several months to germinate.